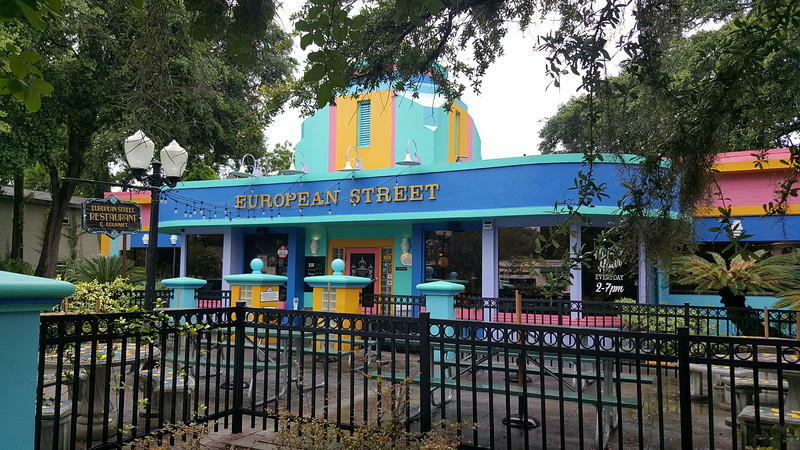 The building that houses European Street in Riverside was originally a gas station built in an "experimental" style to mimic a space ship. Many of the places we frequent today in Jacksonville have a shared history — as gas stations. That’s what Kelsi Hasden tells WJCT News Director Jessica Palombo in The Jaxson on WJCT. Gas stations, largely ignored among historic buildings, may be one of our most valuable resources illustrating the evolution of our city during the 20th century, according the The Jaxson. In the years following the Great Fire of 1901, Jacksonville mushroomed into a metropolis fueled by Florida’s largest streetcar network. Operated by the Jacksonville Traction Company, the system stretched 60 miles across the city, and provided residents and visitors several million trips in year 1912 alone. But the wheels had already been set in motion for a new form of mobility that would radically change the city. In 1905, the world’s first purpose-built gas station opened in St. Louis, MO. By the end of the decade, Northeast Florida businesses began installing curbside gas pumps in the front of their buildings to accommodate the increasing availability of automobiles. Built in 1906 as a carriage showroom, blacksmith shop, and horse stable, the McMurray Livery, Sale & Transfer Company at 220 E. Forsyth St. became one of the city’s first gas stations. A new nonfiction book is inviting readers to take a journey through historic Jacksonville neighborhoods. 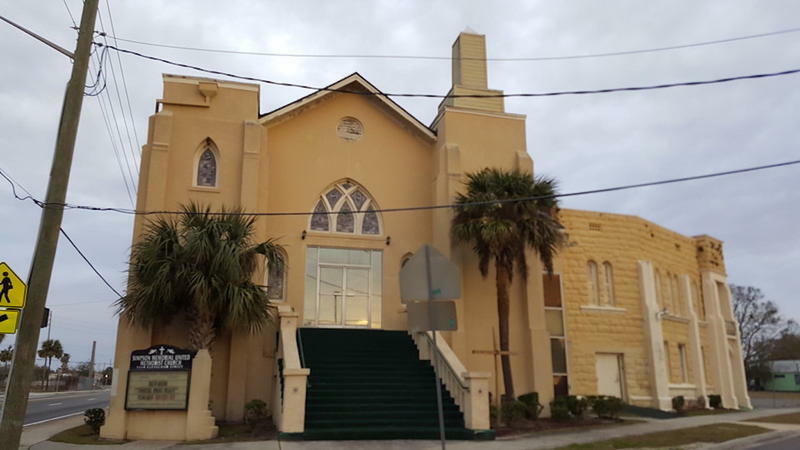 A new service is offering historical and cultural tours of downtown Jacksonville. On Friday, founder Sherry JHill narrated from the front seat of a street-legal golf cart the history and culture passing by. She’s calling these rides Zip Tours. JHill says today’s tour is the result of a serendipitous meeting during One Spark with the carts’ owner, Bill Guerrant. 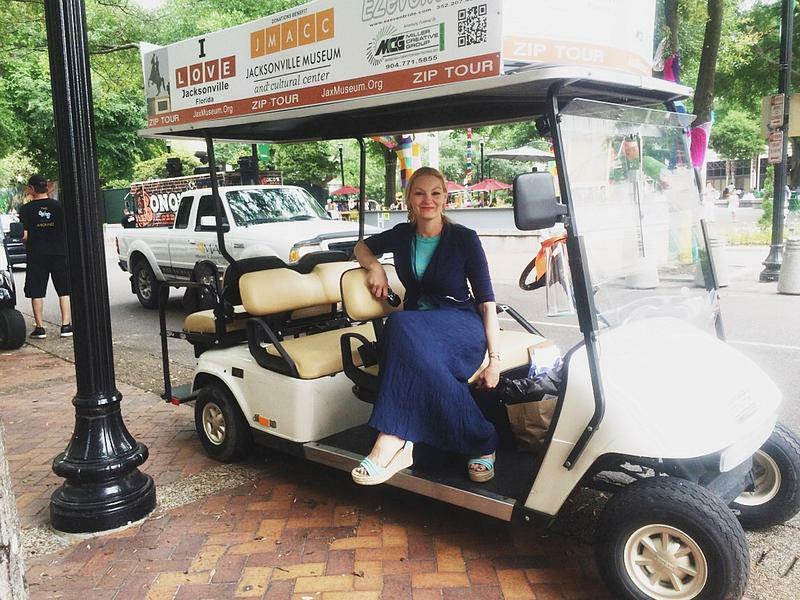 “And within 30 days, we’ve launched a rolling history tour in downtown. And I am just so happy that we were able to put this together,” says JHill.